John Brown was born on November 3, 1977, in California. 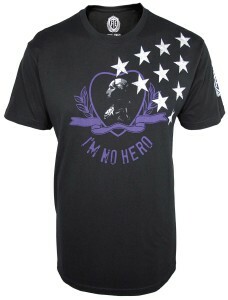 He enlisted in the U.S. Air Force on March 18, 2002, and completed basic training at Lackland AFB, Texas, in May 2002. After completing the U.S. Air Force Pararescue Pipeline, Sgt Brown served as a Pararescueman with the 38th Rescue Squadron at Moody AFB, Georgia, from October 2003 to January 2006, followed by service as a Pararescueman with the 31st Rescue Squadron at Kadena AB, Okinawa, from January 2006 to January 2009. 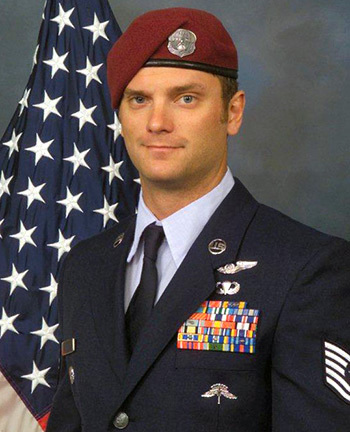 His next assignment was as a Pararescueman and Special Tactics Team Member with the 24th Special Tactics Squadron at Pope AFB, North Carolina, from January 2009 until he was killed in action when the CH-47 Chinook helicopter he was aboard was shot down in Afghanistan on August 6, 2011. John Brown was buried at Arlington National Cemetery. 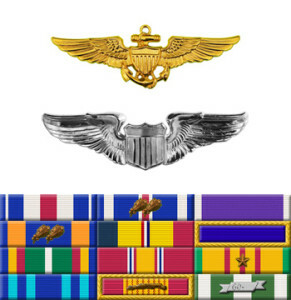 Period: 27 February 2010 to 28 June 2010 – For exceptionally meritorious achievement as a combat search and rescue team leader for a Joint Task Force in support of Operation Enduring Freedom. During this period, Sergeant Brown provided rescue coverage for numerous combat operations in hostile territory. He led his team in recovering several crew member remains and sensitive items from a crashed aircraft as well as treatment and evacuation of the wounded. 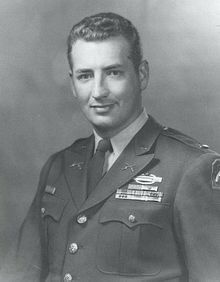 Sergeant Brown coordinated casualty collection, triage, evacuation, blocking positions and communications with base operations for accountability during synchronized anti-coalition fighter and rocket attacks. 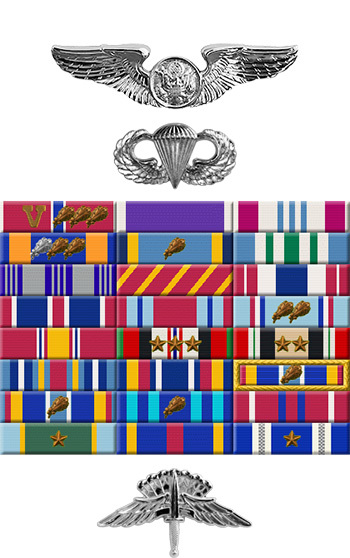 Through his distinctive accomplishments, Staff Sergeant Brown reflected great credit upon himself, this command, the United States Air Force, and the United States Army. Period: 1 July 2011 to 6 August 2011 – For exceptionally meritorious achievement as an Assault Force Pararescueman for a Joint Task Force in support of Operation Enduring Freedom. During this period, Sergeant Brown conducted several objectives resulting in multiple enemies eliminated and detained. He led the full spectrum medical and rescue planning, ensuring the successful execution of the task force’s highest priority missions. On 5 August 2011, Sergeant Brown and his team responded on a mission to eliminate or capture a high-value Taliban commander in Afghanistan. 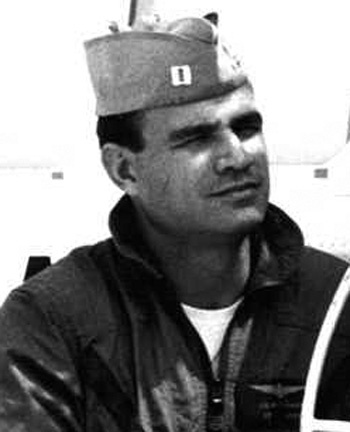 His helicopter was attacked in the target area by enemy fighters and was shot down by a rocket propelled grenade. 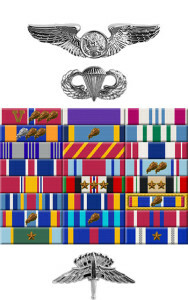 Through his distinctive accomplishments, Technical Sergeant Brown reflected great credit upon himself, this command, the United States Air Force, and the United States Army. Darrik Benson was born on October 3, 1982, in Angwin, California. 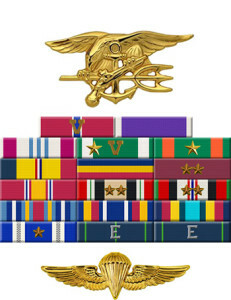 He enlisted in the U.S. Navy in 2001, and completed Basic Underwater Demolition/SEAL Training, Jump School, and SEAL Qualification Training before being assigned to SEAL Team THREE at NAB Coronado, California, from June 2003 to September 2009. During this time, SO1 Benson deployed in support of Operation Iraqi Freedom from October 2004 to January 2005, and from April to October 2008. His next assignment was in Gold Squadron with the Naval Special Warfare Development Group (DEVGRU) at Dam Neck, Virginia, from September 2009 until he was killed in action aboard a CH-47 Chinook helicopter in Afghanistan on August 6, 2011. Darrik Benson was buried at Fort Rosecrans National Cemtery in San Diego, California. 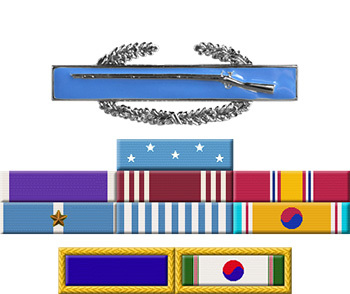 For heroic achievement in connection with combat operations against the enemy as an Assault Team Member for a Joint Task Force in support of Operation ENDURING FREEDOM from 1 March 2010 to 1 July 2010. 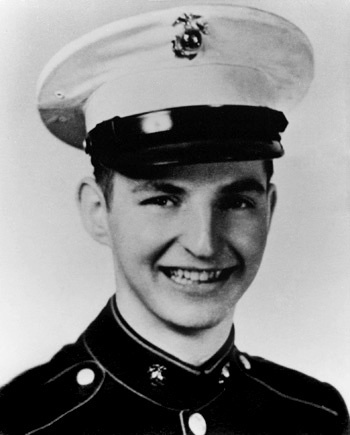 During this period, Petty Officer First Class Benson consistently and deliberately exposed himself to enemy fire while conducting several direct action missions, resulting in the elimination of numerous enemy fighters and the capture of others. 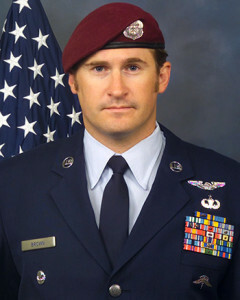 On 17 March 2010, Petty Officer First Class Benson was positioned on a roof during a daring nighttime raid in an enemy controlled valley when the enemy fighters opened fire on his team. He quickly returned fire, eliminating the fighters as the assault force came under heavy enemy fire from numerous positions within the targeted compound and throughout the valley. When a barricaded shooter mortally wounded his teammate, Petty Officer First Class Benson moved from his position to explosively breach the external wall of the room containing the barricaded shooter. Through the breached wall, he engaged the barricaded shooter with grenades enabling his teammates to enter the compound and recover their wounded teammate. By his extraordinary guidance, zealous initiative, and total dedication to duty, Petty Officer First Class Benson reflected great credit upon himself and upheld the highest traditions of the United States Naval Service. Luther Story was born on July 20, 1931, in Buena Vista, Georgia. He enlisted in the U.S. Army on October 21, 1948, and after completing Basic Training and Advanced Training as an Infantryman, PFC Story served with Company A, 9th Infantry Regiment of the 2nd Infantry Division at Fort Lewis, Washington, until July 1950, when he deployed with his unit to Pusan, South Korea, at the beginning of the Korean War. 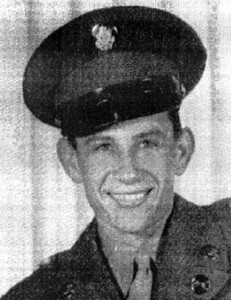 CPL Story was killed in action near Agok, South Korea, on September 1, 1950, but he was officially listed as Missing in Action until he was declared dead on September 1, 1953. His remains have never been returned, but he does have a cenotaph marker at Andersonville National Cemetery near Andersonville, Georgia. Pfc. Story, distinguished himself by conspicuous gallantry and intrepidity above and beyond the call of duty in action. A savage daylight attack by elements of 3 enemy divisions penetrated the thinly held lines of the 9th Infantry. Company A beat off several banzai attacks but was bypassed and in danger of being cut off and surrounded. Pfc. Story, a weapons squad leader, was heavily engaged in stopping the early attacks and had just moved his squad to a position overlooking the Naktong River when he observed a large group of the enemy crossing the river to attack Company A. Seizing a machine gun from his wounded gunner he placed deadly fire on the hostile column killing or wounding an estimated 100 enemy soldiers. Facing certain encirclement the company commander ordered a withdrawal. During the move Pfc. Story noticed the approach of an enemy truck loaded with troops and towing an ammunition trailer. Alerting his comrades to take cover he fearlessly stood in the middle of the road, throwing grenades into the truck. Out of grenades he crawled to his squad, gathered up additional grenades and again attacked the vehicle. 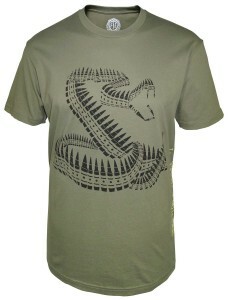 During the withdrawal the company was attacked by such superior numbers that it was forced to deploy in a rice field. Pfc. 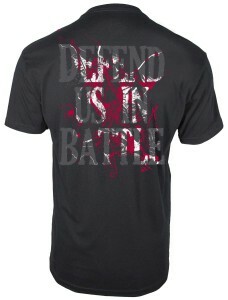 Story was wounded in this action, but, disregarding his wounds, rallied the men about him and repelled the attack. Realizing that his wounds would hamper his comrades he refused to retire to the next position but remained to cover the company’s withdrawal. When last seen he was firing every weapon available and fighting off another hostile assault. 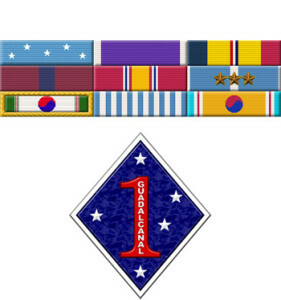 Private Story’s extraordinary heroism, aggressive leadership, and supreme devotion to duty reflect the highest credit upon himself and were in keeping with the esteemed traditions of the military service. 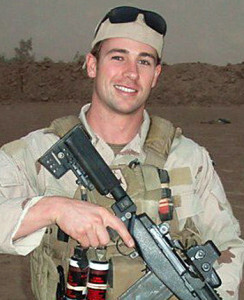 Medal of Honor recipient and retired Marine Capt. John James McGinty III has died in Beaufort, S.C. He was 73. 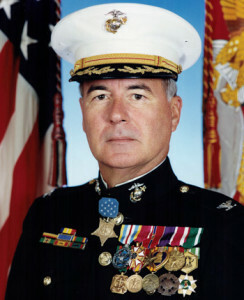 McGinty received the nation’s highest valor award for his actions during the Vietnam War in a July 18, 1966, battle that resulted in nearly 500 enemy dead. While pulling rear security for 3rd Battalion, 4th Marines, which was withdrawing after being besieged for three days, his platoon came “under heavy small-arms, automatic weapons and mortar fire from an estimated enemy regiment,” according to his citation. 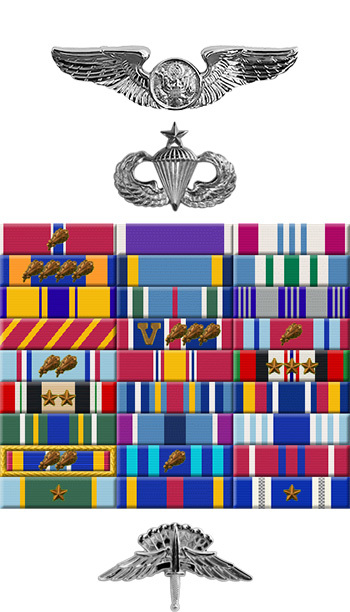 Then-Sgt. McGinty responded by rallying his platoon’s men to fend off wave after wave of enemy attacks over a four-hour period. During a particularly vicious assault, two of his unit’s squads were separated from the rest of the platoon. McGinty responded by charging across fire-swept terrain, braving both machine guns and mortars, to reach the cut off squads. “Finding 20 men wounded and the medical corpsman killed, he quickly reloaded ammunition magazines and weapons for the wounded men and directed their fire upon the enemy,” his citation reads. When a determined enemy attempted to outflanked his position, he personally killed five with his .45-caliber 1911 pistol. On the verge of being overrun, he redirected artillery fire to within 50 yards of his position. “The destructive firepower routed the enemy, who left an estimated 500 bodies on the battlefield,” his citation reads. Upon returning to the United States, McGinty served as a drill instructor at Marine Corps Recruit Depot, Parris Island, S.C. until his promotion to second lieutenant in August of 1967, according to the United States Marine Corps History Division. McGinty who first enlisted in the Marine Corps Reserve in 1957, before entering active duty the following year, went on to serve through retirement in 1976. In addition to the MoH, his decorations include the Purple Heart, Good Conduct Medal with two bronze stars, the National Defense Service Medal, the Vietnam Service Medal with two bronze stars, the Vietnamese Cross of Gallantry with Palm, and the Republic of Vietnam Campaign Medal. He will be buried at the Beaufort National Cemeteryat 1 p.m. Thursday, reports the Island Packet. David Champagne was born on November 13, 1932, in Waterville, Maine. He enlisted in the U.S. Marine Corps on March 7, 1951, and after completing basic training at Parris Island, South Carolina, he served at Camp Pendleton, California, from June to August 1951. Cpl Champagne deployed to Korea in October 1951, where he served with A Company, 1st Battalion, 7th Marines, 1st Marine Division until he was killed in action on May 28, 1952. He was buried at the Saint Francis Catholic Cemetery in Waterville, Maine. For conspicuous gallantry and intrepidity at the risk of his life above and beyond the call of duty while serving as a fire team leader of Company A, in action against enemy aggressor forces. Advancing with his platoon in the initial assault of the company against a strongly fortified and heavily defended hill position, Cpl. Champagne skillfully led his fire team through a veritable hail of intense enemy machine gun, small-arms, and grenade fire, overrunning trenches and a series of almost impregnable bunker positions before reaching the crest of the hill and placing his men in defensive positions. Suffering a painful leg wound while assisting in repelling the ensuing hostile counterattack, which was launched under cover of a murderous hail of mortar and artillery fire, he steadfastly refused evacuation and fearlessly continued to control his fire team When the enemy counterattack increased in intensity, and a hostile grenade landed in the midst of the fire team, Cpl. Champagne unhesitatingly seized the deadly missile and hurled it in the direction of the approaching enemy. As the grenade left his hand, it exploded blowing off his hand and throwing him out of the trench. Mortally wounded by enemy mortar fire while in this exposed position, Cpl. 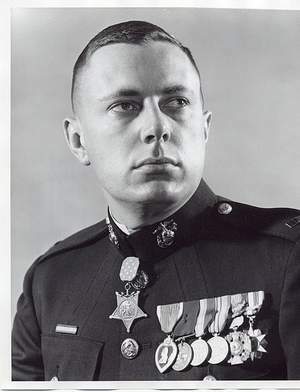 Champagne, by his valiant leadership, fortitude, and gallant spirit of self-sacrifice in the face of almost certain death, undoubtedly saved the lives of several of his fellow marines. 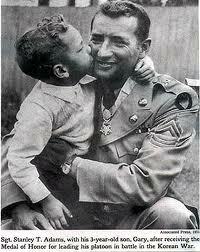 His heroic actions served to inspire all who observed him and reflect the highest credit upon himself and the U.S. Naval Service. He gallantly gave his life for his country. Rodolfo P. “Rudy” Hernandez, a Medal Of Honor recipient from the Korean war passed away on 21 December 2013 at the age of 82 at Womack Army Medical Center after battling cancer. 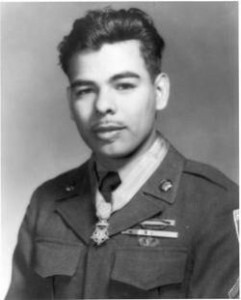 Mr. Hernandez was awarded the Medal Of Honor for his actions near Wontong-ni, Korea, 31 May 1951. Hernandez was assigned to Company G of the 2nd Battalion, 187th Airborne Regimental Combat Team. His platoon was ordered to defend Hill 420, located near Wonton-ni. On May 31, 1951, his platoon was the object of a numerically superior enemy counterattack. A close-quarters firefight broke out when enemy troops surged up the hill and inflicted numerous casualties on the platoon. 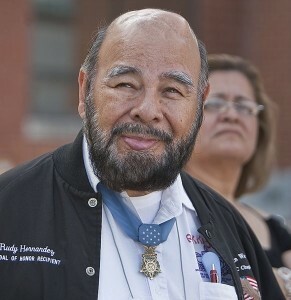 Hernandez was wounded during the attack, but was able to fire upon the rushing enemy troops. 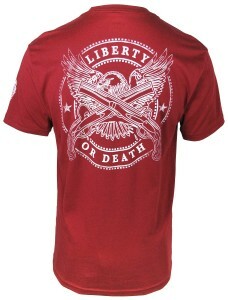 After his rifle ruptured, he continued attacking the enemy with his bayonet. His attack enabled his comrades to regroup and take back the hill. A grenade explosion that blew away part of his brain knocked him unconscious. Hernandez, who had received grenade, bayonet, and bullet wounds, appeared dead to the first medic who reached him, Keith Oates. Oates realized, however, that Hernandez was still alive when he saw him move his fingers. Hernandez woke up a month later in a military hospital, unable to move his arms or legs or to talk. On April 12, 1952, President Harry S. Truman bestowed upon Hernandez the Medal of Honor in a ceremony held in the White House Rose Garden. After many surgeries and physical therapy over a five-year period, Hernandez regained limited use of his right arm and learned to write with his left hand. Cpl. Hernandez, a member of Company G, distinguished himself by conspicuous gallantry and intrepidity above and beyond the call of duty in action against the enemy. His platoon, in defensive positions on Hill 420, came under ruthless attack by a numerically superior and fanatical hostile force, accompanied by heavy artillery, mortar, and machinegun fire which inflicted numerous casualties on the platoon. His comrades were forced to withdraw due to lack of ammunition but Cpl. Hernandez, although wounded in an exchange of grenades, continued to deliver deadly fire into the ranks of the onrushing assailants until a ruptured cartridge rendered his rifle inoperative. Immediately leaving his position, Cpl. Hernandez rushed the enemy armed only with rifle and bayonet. Fearlessly engaging the foe, he killed 6 of the enemy before falling unconscious from grenade, bayonet, and bullet wounds but his heroic action momentarily halted the enemy advance and enabled his unit to counterattack and retake the lost ground.